Social media are making us less social and 70 % of Swedes feel that their Phones just get in the way, when they get together. 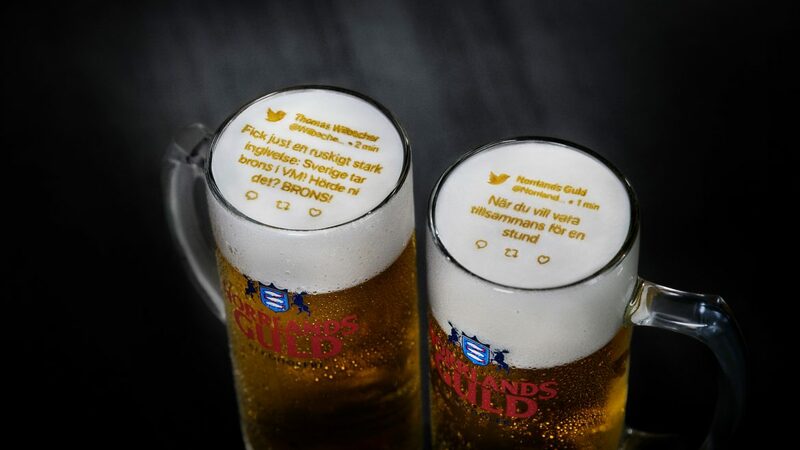 That´s why we brewed up a little something called “The Social Beer” - a technology that collects the latest world cup tweets and prints them directly on your beer, using a malt-based ink. In short, it´s twitter on tap, allowing people to follow the game mobile-phone-free. Tweet responsibly.